Editor’s note: This article contains tweets that some may find offensive. High-end London retailer Oasis has some explaining to do when it comes to an ad it provided London's Evening Standard newspaper. 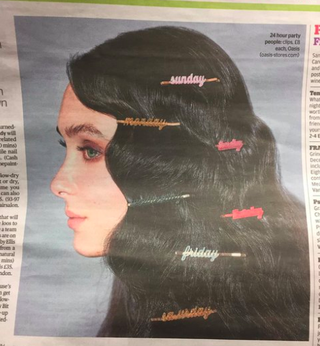 The photo in question looks remarkably similar to Solange's A Seat at the Table album cover, and social media quickly came for the newspaper and store. While some will say imitation is the best form of flattery, clearly the people who thought this image was a good idea didn't listen to Solange's album, which talks heavily about cultural appropriation. Oasis needs to have a seat at a table, and listen to the album just to see why its image is problematic.